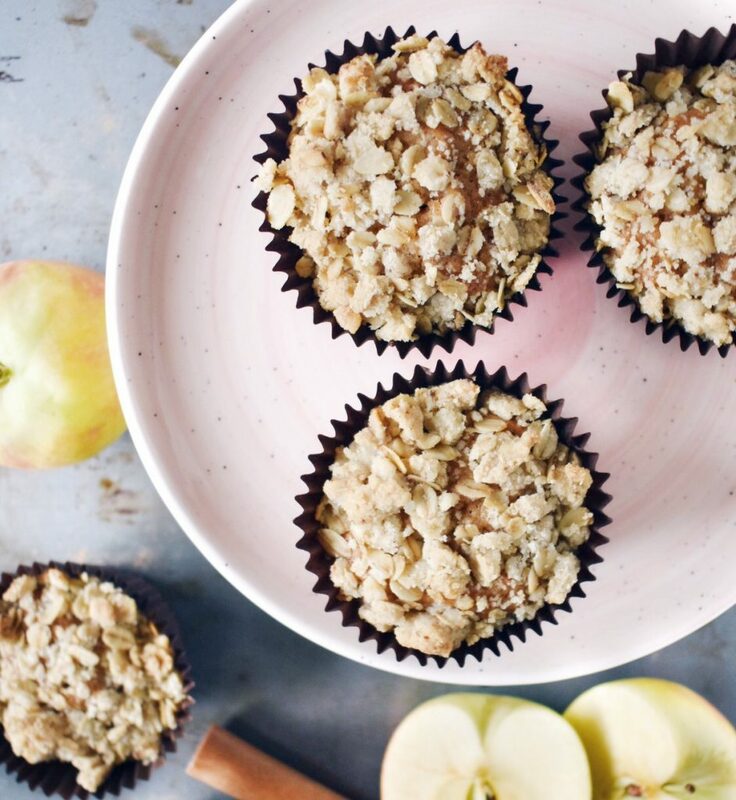 These vegan apple crumble muffins are a hybrid of two classic Autumn desserts. A soft and moist apple cake with a crunchy oat streusel topping. So it’s safe to say things have been looking a little…anti-Autumnal around here. And believe me, this is not how I wanted it to pan out. But I’m immersing myself in all things Autumn from now on, starting with these apple crumble muffins. I feel like pumpkin is the star of the show in Autumn/Fall. However, where I live, it is proving pretty difficult to find pumpkin puree on the supermarket shelves. Hence I bring you a recipe using the slightly less-trendy, OG Autumn ingredient: the humble apple. Now, I love apples. Like LOVE them. Apple pie, crumble, cake, you name it, I’ll eat it. Being quite the apple dessert connoisseur, I decided to choose my favourite and share it’s recipe on the blog in celebration of Autumn. However, I reached an impasse when I realised I liked both apple cake and apple crumble equally. What followed next was a strike of pure genius: to combine the two into one sweet, moist, and crunchy dessert which can fit in the palm of your hand: the apple crumble muffin! What do I need to make apple crumble muffins? Apples. duuuuuh. In fact, my recipe uses two forms of apple – grated and sauced. And by sauced I mean applesauce, which is technically blended, but let’s not get into the semantics here. In conclusion, two forms of apple = extra moistness + stronger apple flavour. Sunflower Oil. A key ingredient of muffins and it’s what makes a muffin different to a cupcake, which usually has some form of butter. Brown Sugar. You could use white, but brown gives that caramel-like sweetness that we have come to associate with this time of year. Flour + Baking Powder. 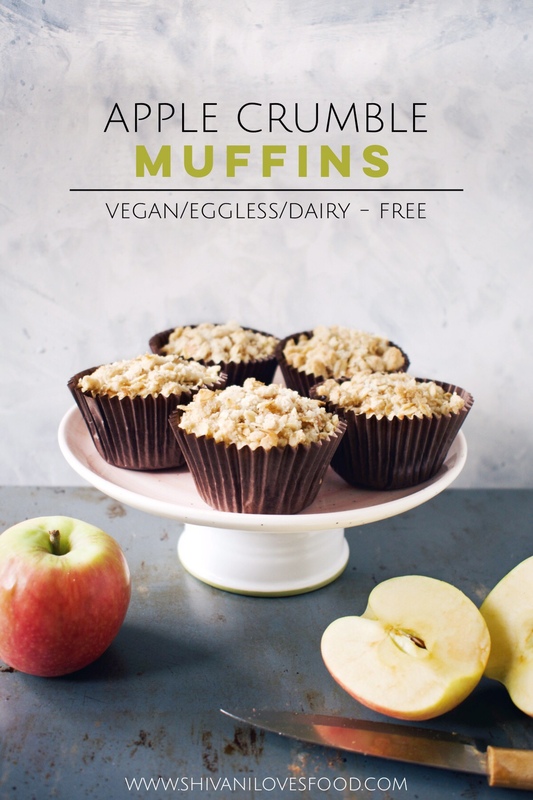 Being a vegan cake, and therefore an eggless cake, these apple crumble muffins need that extra little boost to help them rise. (think petite people trying to reach a top shelf – I’ve been in that position too many times) And said boost comes in the form of self-raising flour and baking powder. Spices. It wouldn’t be an Autumn bake without spices, would it? Cinnamon takes centre stage here, aided by nutmeg and ginger to boost the cosy flavours. Crumble. Okay, so this isn’t so much an ingredient as it is a mandatory addition to this recipe. This crunchy streusel topping is made with just 4 ingredients: flour, sugar, oats, and coconut oil. 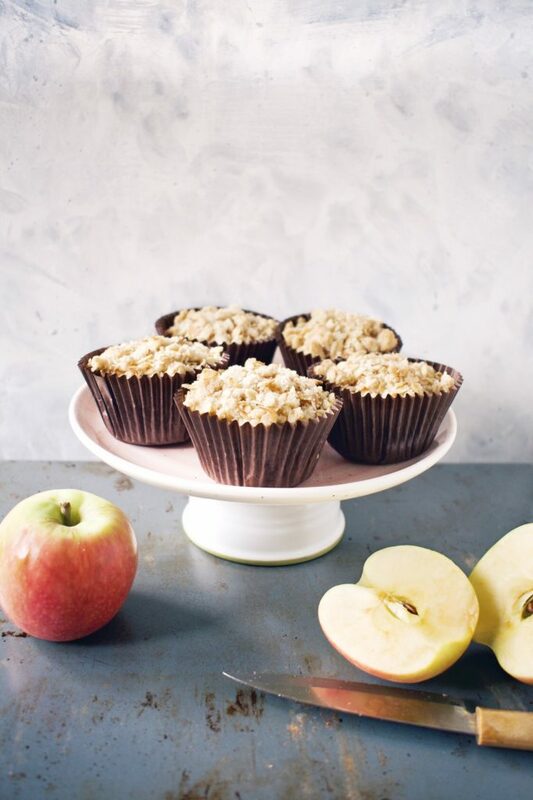 And without it, your apple crumble muffins would be *gasp*…plain apple muffins. Which are by far less cool, and dare I say, less tasty. Seriously, it’s the crumble which makes these muffins so good. There’s nothing quite like eating hot, slightly crumbly cakes fresh out of the oven. I, for one, know and love the taste. Hopefully this explains the lack of photos of the finished muffins and surplus of progress shots. If you want to go the extra mile, you could serve these apple crumble muffins with vegan custard or ice cream. But in all honesty, these muffins are so adorably perfect on their own that a dousing of ice cream/custard is not necessary. If you feel like treating a friend (or yourself) make them these apple crumble muffins. Seeing the smile on someone’s face when you hand them a home baked good is a feeling akin to the internal warmth one might encounter around this time of year. And if you would like to make a certain little Shivani very happy too, please do tag me on Instagram @shivanilf – I love seeing your creations! You can also keep updated on Pinterest and Facebook – I hope to see you there! Preheat the oven to 180 degrees. Line a muffin pan with 6 muffin cases and set aside. In a large bowl mix together the applesauce, sunflower oil and brown sugar, using a wooden spoon. Gradually add the flour, baking powder, and spices to the bowl, folding the mixture after each addition. Stir in the grated apple. The mixture will become a little wetter now. Divide the muffin mixture between the 6 muffin cases. Prepare the crumble in a small bowl by mixing together the ingredients with your fingers. Sprinkle the crumble mixture atop the muffins. Bake in the preheated oven for 20-25 minutes until the crumble is slightly golden and a skewer inserted comes out clean. Leave to cool slightly before serving. I understand 'one small apple' is a little ambiguous - the weight of mine once grated was 70g. If you have somewhere in the region of 60-80g, you should be fine, but make sure to adjust the baking time as necessary to account for a slightly wetter/drier batter. These muffins are calling my name! The perfect fall breakfast! Muffins for breakfast…I like your thinking! I just went apple picking with the family, and now we have WAY to many apples haha! Great time to do some baking, and these look delicious! YAY this would be perfect! Thank you for the kind words, I hope you like these! 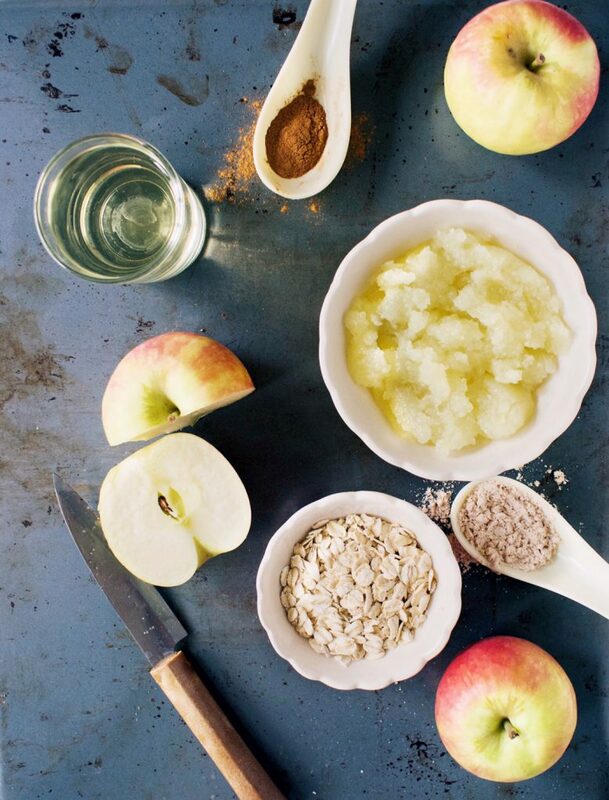 You had me at apple crumble! I have an abundance of fresh apples right now since we went apple picking a few weeks ago. Perfect recipe to use some of them! I love all things pumpkin this time of year, but apples still hold a special place in my heart. 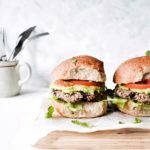 I have some friends with food sensitivities, and these would be perfect to make for them. Is there anything better for a cool, fall breakfast?! These are seriously perfect, and it’s always so cool to me to see how vegan baked goods hold together without a single egg! Fabulous – especially the crumble. I will definitely be making these.